“Dimples”, as you might suspect from his name, has cute perforations from the tip of his nose to his pointed tail. 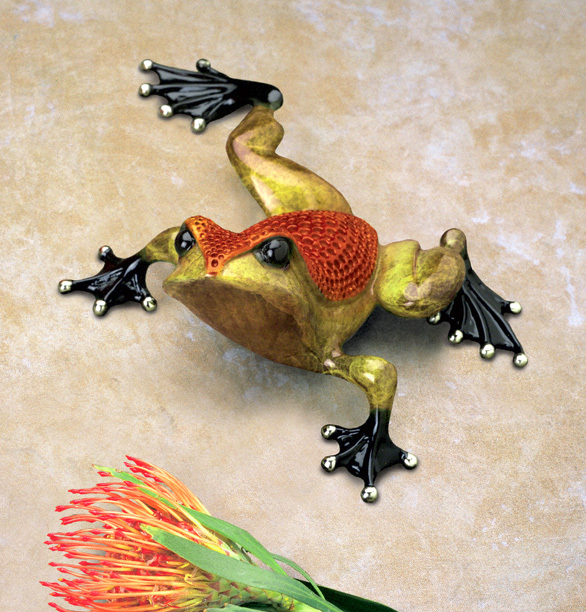 A very colorful frog in vibrant yellow and deep burnt red in the dimpled areas. He looks up at you with a wonderfully focused expression. Looking for unique one of a kind display ideas? "Dimples" fits on a Medium or Large Glass Lily Pad. See Display Accessories Section.